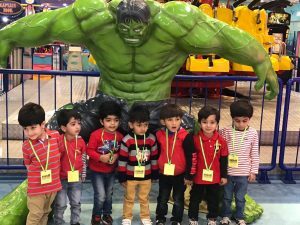 Children of Pre-School went on a fun filled trip to Fun City, Centaurus. Activities of the day included fun ride on a carousal, soft play area, pirate ship, electric cars, free fall ride and yummy happy meals. Children were also given gifts by the Fun City administration.